As we discussed a couple of weeks back, Tommy Cogbill had become a member of the 'executive board' at American, and had also developed into quite the producer. 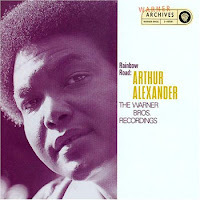 In late 1971, he worked on one of the last projects to be recorded there in Memphis, Arthur Alexander's self-titled LP for Warner Brothers. Although it didn't do much at the time, it contained what many consider to be the definitive version of Dan Penn's Rainbow Road, a song that fit Alexander like a glove. That album has been re-issued on CD, and remains an undiscovered gem. Once Chips threw in the towel there in Atlanta, Cogbill, who wasn't on the board of anything anymore, gravitated to Nashville like the rest of the Memphis Boys looking for work. 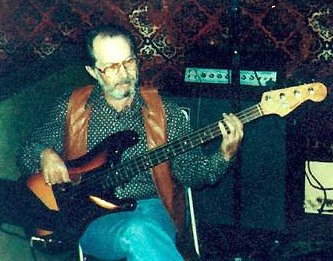 No longer in demand as a producer, he was forced to go back to playing the bass. One person who was glad to see him was Buddy Killen. Killen had built his own Sound Shop studio on Music Row by then, and loved the idea of getting that American Group sound without having to drive to Memphis. His long time friend, co-producer, and Dial artist Paul Kelly had recently signed with Warner Brothers, and Buddy brought in Tommy, Reggie, Chips (on guitar! 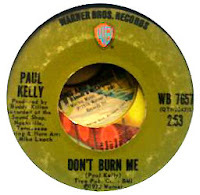 ), and the gang to work on the classic Don't Burn Me album in 1973. 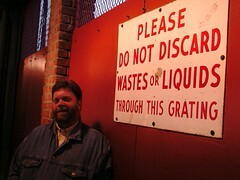 Our man Papa Don Schroeder, meanwhile, had given up on the idea of trying to make records at his studio in Pensacola. Even though he had imported guys like Wayne Jackson and Andrew Love down there to work with his partner Moses Dillard, it was like "pulling teeth," he said. When Don heard that his compadre Cogbill had moved to Nashville, he decided to head back to his old stomping grounds himself. He was hired as a staff producer by ABC-Dunhill, joining folks like Don Gant and Diane Petty during one of the label's most creative periods. 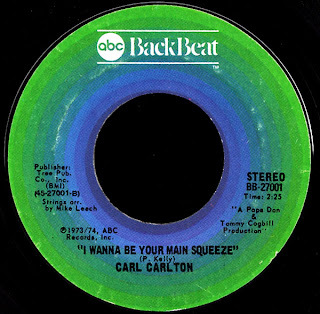 Carl Carlton made his recording debut at 11 years of age on the tiny Lando label in his native Detroit in 1964. 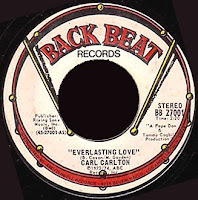 Kind of like a young Tamla artist from across town, he was billed as 'Little' Carl Carlton. His first Lando single, I Love True Love, became a minor local hit, and was followed by two more on the label before he came to the attention of 'Uncle Ed' Wingate. Wingate signed him to his Golden World imprint and, in an obvious attempt at rankling his nemesis Berry Gordy, added 'The 12 Year Old Wonder' after his name on the label. 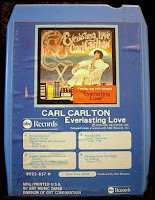 His only single for the company, Nothin' No Sweeter Than Love, was backed with a re-recording of his Lando hit. Although it didn't sell much at the time, it's become one of the most collectable Golden World titles out there, fetching over $200 whenever one turns up. Don Robey, notorious owner of the Houston based Duke/Peacock empire, had re-invented his Back Beat subsidiary as an outlet for Soul in the mid-sixties. Just as he had done in Memphis, he came sniffing around Detroit looking for talent for the label. 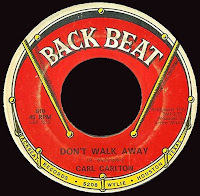 After Golden World was bought out by Motown in September of 1966, Robey picked up Carlton's contract. Still calling him 'Little', he now added '14 Year Old Sensation' to his moniker. 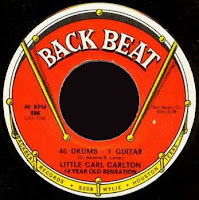 His very first Back Beat single, Competition Ain't Nothin', broke into the R&B top forty, and the follow-up, 46 Drums - 1 Guitar hit the top twenty in late 1968. Robey brought Carlton back to Detroit, and hooked him up with a production team that included Mike Terry, Fred Briggs, Joshie Armstead, and various moonlighting Funk Brothers at the fabled Tera Shirma studio. It paid off, as numbers like Look At Mary Wonder, Don't Walk Away and Drop By My Place kept him charting through the early seventies. On May 23, 1973, Don Robey sold his labels, along with all of his artists' contracts, to ABC-Dunhill. 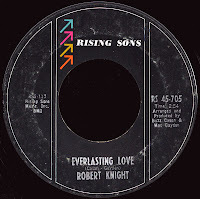 In 1967, a Nashville kid named Robert Knight rode a tune called Everlasting Love all the way to lucky #13 on the Billboard Hot 100. It had been one of the first releases on the tiny Rising Sons label, a company that had been started up by Bobby Russell and Buzz Cason, who had also co-written the song with guitar wizard Mac Gayden. 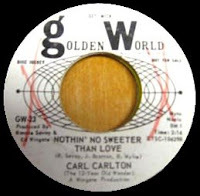 Supposedly, it was David Ruffin's subsequent cover of the song on his 1969 LP My Whole World Ended that got Carlton interested in recording it. 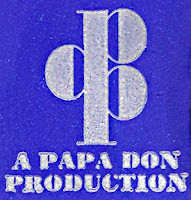 ABC turned to their new staff producer down in Nashville, the man with the proven track record as a top ten R&B hitmaker, Papa Don. Papa (who told me that he'd never make a record without him) called in Tommy Cogbill as his co-producer. This very cool side we have here today shows just what a great team they were. First and foremost, CHECK OUT THE BASS!! Cogbill was truly a genius on the instrument, and that may be the only good thing to have come out of the closing of American, that he was back working that thing! I've been told that he used to dip the fingers of his left hand in Vaseline so he could move them around the neck like that. Unreal. 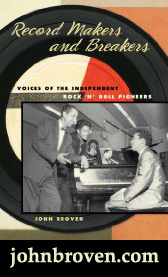 Another guy Papa Don didn't like to make a record without was Bobby Emmons, who he called his 'Little Groove-Maker". I would bet that's him smokin' that Hammond, whew! Cogbill protegé Mike Leech, who had developed into quite the arranger by then, was called in to do the strings. Papa Don (who calls this one of his favorite records) tells quite the story about the sessions that produced it. He said they worked for fourteen hours on the song at Norbert Putnam's Quadraphonic Recording, after which he "threw the tapes in the garbage." Regrouping at Cason's Creative Workshop, he said that he told Cogbill to "play the bass line for 'Old Time Religion', and within a few minutes, we had cut the track..." Just an excellent Paul Kelly tune, that's Paul and his wife singing the back-up vocals. 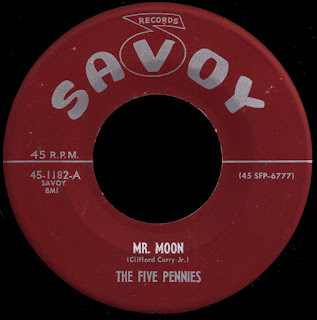 Released as the flip on three different ABC/Back Beat 45s, it's hard to believe it was never a hit in its own right. 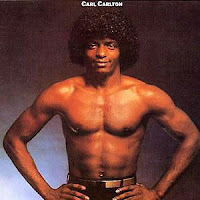 Carlton was off and running, and is one of the few R&B/Soul singers from the early days that was able to actually embrace the whole disco thing, and sell more records than he ever had before. After a couple more albums on ABC, he moved to Twentieth Century Fox where he teamed up with Leon Haywood. Together they came up with his biggest hit She's A Bad Mama Jama (She's Built, She's Stacked) in 1981 (a record which many people believe is by his old Detroit rival from the 'little' days, Stevie Wonder). Carl's work (like This Feeling's Rated X-Tra) continues to be sampled nowadays, and he's still out there actively performing today. Papa Don didn't really like it in Nashville any more than he did the first time, and within a year he quit ABC after some disagreements with the company brass on promotion. 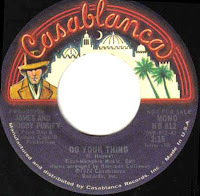 Teaming up once again with James Purify (along with his new 'Bobby', Ben Moore), he and Tommy produced an R&B top 30 hit version of Isaac Hayes' Do Your Thing for disco powerhouse Casablanca Records in late 1974. After signing with Mercury, Papa Don would send a remake of I'm Your Puppet to the upper reaches of the UK charts in 1977. By the end of the decade, he began "commuting to work in London," producing albums for people like Ringo and Rod Stewart. Tommy Cogbill, once seen as an 'outsider', continued on as one of the most sought after session men on Music Row. 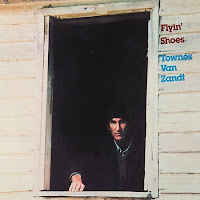 Appearing on cult favorites like Townes Van Zandt's Flyin' Shoes (along with Chips, Bobby Emmons and Spooner Oldham) and Loudon Wainwright's Attempted Mustache, as well as more mainstream efforts by Kris Kristfferson, Bob Seger and J.J. Cale (to name but a few). On December 7, 1982, Tommy Cogbill died after suffering a massive stroke. He was fifty years old. They played Angel Of The Morning at his funeral in Memphis. We here in the Carolinas are very appreciative of the B side of records and have a whole genre of music devoted to lesser known groups and b sides of famous stars. The music is Beach Music and here is a sample of Classic Beach Music. Hardly the stuff that you ever heard more than once on the juke box and never hear again except at beach music/shag dance clubs. The newer stuff is also all B side and B artist but very popular. We even have a dance that is done to these tunes called the shag.